Jerusalem, Israel — April 24, 2017 … Is the Holocaust really over? We know that Adolph Hitler committed suicide with a bullet to the head. We know that US and Russian troops liberated concentration camps including Bergen-Belsen, Buchenwald, Dachau, Sobibor, Treblinka and Auschwitz-Birkenau. That Jews were hung, shot and gassed to death. That their bodies were disposed in mass graves and in ovens. We know that war crime trials were held in Nuremberg, Germany during 1945 and 1946. Judges from the Allied powers—Great Britain, France, the Soviet Union, and the United States—presided over the hearings of twenty-two major Nazi criminals. Twelve prominent Nazis were sentenced to death. So, is the Holocaust really over? The Holocaust, also referred to as the Shoah, was a genocide in which some six million European Jews were murdered. It began with a simple boycott of Jewish shops, racist hate speech and symbols of hate that were used to recruit and expand the numbers of those in the Nazi political party or as otherwise known as the National Socialist German Workers’ Party. If the Holocaust is truly over then why do we still have thousands of people using the same Nazi hate speech, boycotts and symbols in 2017? Like malignant cancer, you are not rid of it until each and every cell has been destroyed. Yet today we permit Neo-Nazis to use the same hate speech and symbols against Jews. One only has to look at newspaper photos of destroyed Jewish graves with Nazi swatchkas painted over them, Nazi pamphlets distributed at colleges and in Jewish communities, Nazi symbols placed on New York City subway walls. Or delve into social media, Facebook and Twitter where one can witness an abundance of Nazi hate speech, cartoons, videos and threats of placing Jews into ovens. 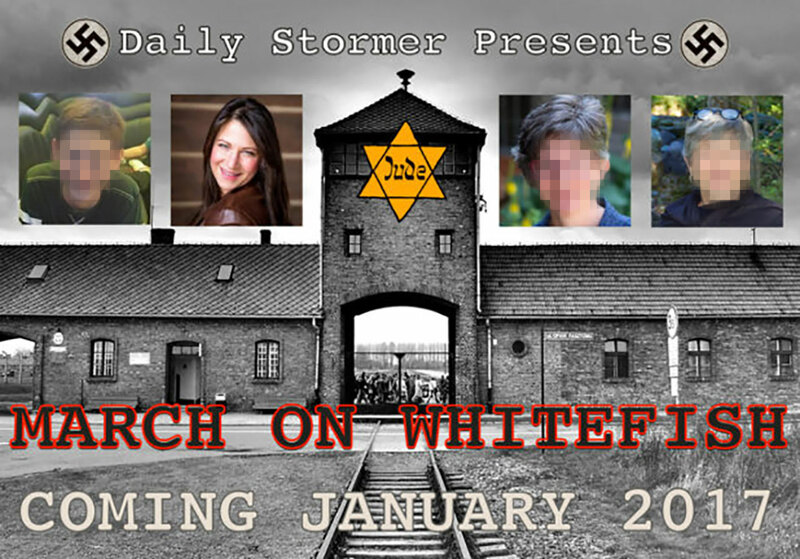 A recent example of the spread of Nazi, Alt-Right cancer was when Andrew Anglin, publisher of the largest hate website in the United States – The Daily Stormer, targeted a Jewish family in Whitefish, Montana. Anglin was upset by false rumors that a white supremacist, Nazi party leader by the name of Richard Spencer had his mother attacked by a Jew in Whitefish. Anglin, a well-known neo-Nazi operating out of Ohio, then asked thousands of his followers to “take action” against Tanya Gersh. What resulted were hundreds of death threats towards Tanya, her children and her husband. These threats quickly spread to other Jews who reside in Montana. Tanya received more than 700 harassing messages, including death threats, and a message on Twitter to her son suggesting that he pursue a free Xbox located inside an oven. 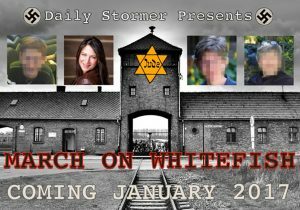 The Gersh family was forced to leave Whitefish for a few weeks as Anglin even called for an armed march in Whitefish, a march that would end at Gersh’s home. Today, Tanya Gersh is no longer able to work and attends trauma therapy twice a week. It wasn’t a physical bullet, a hangman’s noose or gas that took Tanya down, but rather an emotional assault that attacked her through phone calls, text messages, malicious Christmas cards, tourist pamphlets from other states and Internet messages. “You will be driven to the brink of suicide. & We will be there to take pleasure in your pain & eventual end,” one message said. The Southern Poverty Law Center filed a lawsuit last week against the publisher of the popular Neo-Nazi, alt-right website, claiming that he orchestrated a “terror campaign” against a Jewish woman in Montana. The lawsuit asserts that Andrew Anglin is liable to Gersh for invading her privacy, for inflicting emotional distress upon her and for violating the Montana Anti-Intimidation Act, in an amount of more than $75,000 for each count. Will this lawsuit place an end to Nazi threats against Jews in the United States? Richard Spencer, the president of the National Policy Institute, his mentor – former KKK leader David Duke and Andrew Anglin use free speech laws to hide behind. They have created ties with leaders of the BDS (Boycott, Divestment and Sanctions) movement. Opposition to Israel and anti-Semitic attitudes have served as the bridge for partnerships between members of Neo-Nazi and BDS groups in Europe, including in Hungary, where the far-right and anti-Semitic Jobbik party has forged an alliance with Iran and Hezbollah officials. The United Kingdom recently acted against Neo-Nazi groups, recognizing that their hate speech, marches and threats constituted acts of terror. 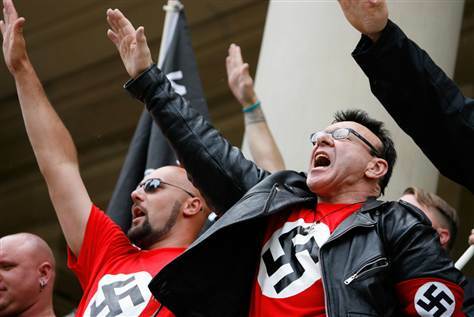 The British neo-Nazi group National Action was labelled a terror organization and banned in a landmark first for the UK. Why has US Congress failed to act against seeds of Nazi hate in the United States? Do we really believe that the racist hate which created the Holocaust is gone and buried? 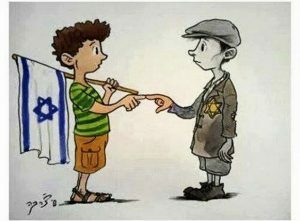 Israeli Prime Minister Netanyahu said yesterday that the allies could have saved 4 million Jews had they taken action. Is Congress going to ignore Jews today as they did during the Holocaust? Why is it that if you support ISIS the FBI will arrest you but if you support Hitler who killed 200,000 US troops – it’s free speech! Until Neo-Nazis in the United States are designated as terrorists, the shadows of the Holocaust will remain. We urge you, your family and friends to sign and share the following petition to Congress – StopNeoNazis.com. As long as we go about our daily lives ignoring Tanya Gersh, Nazi symbols on Jewish graves, boycotts against Jewish businesses, rampant hate speech on the Internet and callousness by the United States Congress, we are no different than the Jews of Berlin in 1936.